We just received word from AMD that it is putting the final touches on a Crimson ReLive driver update (version 16.12.2) that fixes over a dozen issues users have been experiencing. AMD FreeSync technology may experience performance issues with Borderless Fullscreen application support when a secondary display is attached and has dynamic content running such as video playback in a web browser or if other applications or games launchers are running on the primary screen in the background. A workaround if this issue is experienced is to minimize all other applications that are on the primary desktop display or on non-primary extended displays. Battlefield 1 may experience flashing or corruption when running multi-GPU with Radeon RX 400 series. Audio recorded by ReLive may sometimes exhibit slow motion when played back. In AMD multi-GPU configurations the secondary graphics product will exit lower power state when Radeon ReLive is enabled. DOTA 2 may experience game corruption when performing a task switch while recording with Radeon ReLive in AMD muti-GPu configurations. 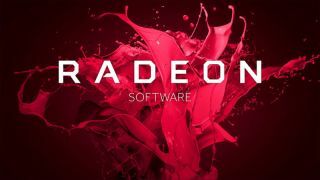 It was less than two week ago that AMD introduced ReLive, the newest version of its Radeon Software Crimson graphics card driver. ReLive adds a bunch of new features, not the least of which is built-in video capture and streaming functionality. Using the ReLive feature, AMD claims there is minimal impact to system performance—the GPU maker noted just a four percent hit to average frames per second while recording in Battlefield 1, and a three percent impact to FPS when recording Overwatch. Assuming they're not already live as you're reading this, the ReLive 16.12.2 driver update will be available sometime today. You can find them here.